The co-founder of the taxi app Hailo is to launch a global drone start-up in Dublin to develop technology to prevent the small flying machines crashing into planes and public places. The start-up, called Verifly, will locate engineers and operations staff in Dublin with other executive functions in New York. According to Jay Bregman, it aims to become the world's central "verification" control systems for drones. "Right now, manufacturers, aviation authorities and public safety bodies are trying to figure out what to do with drones," said Bregman. "What we're building from Dublin and New York is a system of verifying drones so that they don't enter zones they're not supposed to be in." The move comes amid escalating reports of drones disrupting flight paths and crashing into public buildings. British aviation authorities recently revealed near misses involving drones at Heathrow Airport, while a drone crashed on the lawn of the US White House last month. Bregman said that the "crown jewels" of the start-up's engineering and research will happen in Dublin. "All the intellectual property as well as the crown jewels of development, which is all of the geospatial engineering, will be in Dublin," he said. "We're putting operations and ground-breaking development there." The start-up is close to finalising a round of funding and has taken on e-commerce heavy hitter Eugene Hertz as co-founder. Hertz co-founded the US webstore diapers.com, which was sold to Amazon for $540m in 2010. It is being advised by Dublin-based creative advertising firm Rothco and by the legal firm Mason, Hayes & Curran. Bregman has also held discussions with the IDA and with Ireland's Aviation Authority about regulatory issues concerning drones. Government and IDA strategists are keen to establish Ireland as a drone-friendly development market. E-commerce giants Amazon and Alibaba have both begun testing drones as delivery vehicles for small packages. 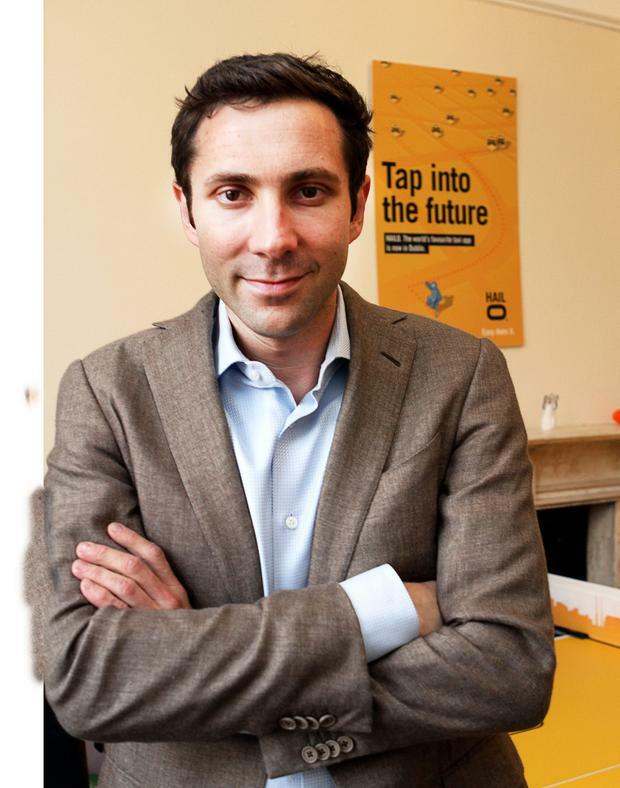 Bregman helped build Hailo into an international taxi app service with over $100m in funding.